They dated for two years - with a romance spanning from 2008 to 2010 - although things ended in disaster when a bitter feud exploded earlier this year. 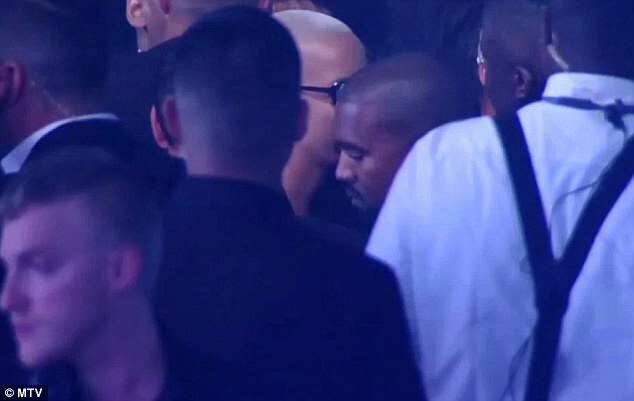 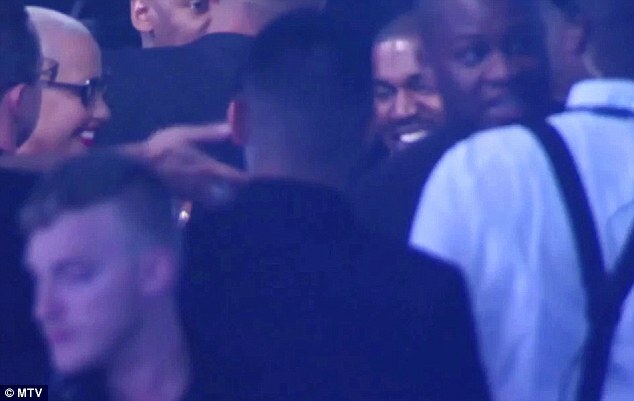 And while there have been many turbulent twists and turns in the Kanye West and Amber Rose saga it seems all is truly forgotten as they were seen backstage at Sunday night's VMAs embracing in a hug. 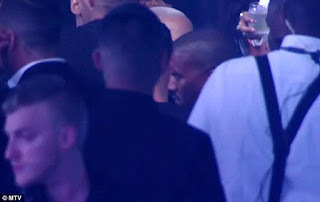 The 39-year-old rapper, renowned for his pouting stance, was beaming as he came face to face with the stunning model, 32, with whom he claimed his wife Kim Kardashian forced him to take 30 showers following their romance.